world from a terrorist nuclear trade. 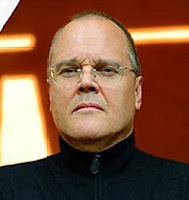 Peter Riva is an established author who produces both SciFi/Cyberpunk and Action/Adventure novels. Of the two genres, I personally love his Action/Adventure stories the best. The Berlin Package is no exception. Here we again meet film producer Pero Baltazar who occasionally takes assignments as a CIA courier. Unfortunately his last CIA assignment drew him into a frightening terrorist plot that he and his friends had to thwart as best they could. Now finally recovered from the overwhelming demands placed upon him in the previous book - and ready to dip his toe back into work - he reaches out to both his Hollywood agent and CIA contact. A film project in Berlin is offered. The CIA says not now. 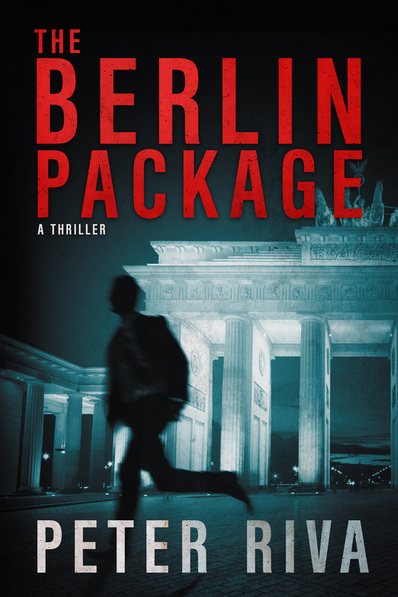 When he arrives in Berlin, however, he approached at the airport by a CIA operative who gives him an unexpected package. Frustrated, he calls his contact at headquarters and is disturbed to find all in disarray. No one seems to know what is going on. Quickly he discovers holding this package has made him a target of the dreaded Stazi. Staying just ahead of his pursuers, Pero has to quickly discover why the package is so important, free his kidnapped friends and thwart a world nuclear threat. It's obvious there is a mole within the CIA, so Pero has to find a solution on his own with just the support of a few trusted individuals. Fortunately one is African tracker and long time friend Mbuno. Together they must find not only the answer, but a solution. The clock is ticking. This is one fabulous thriller to dive into - escapism at it's best. Trust me, you won't be able to put it down. Peter Riva has spent many months over 30 years travelling throughout Africa and Europe. Much of this time was spent with the legendary guides for East African hunters and adventurers. He created a TV series in 1995 called Wild Things for Paramount. Passing on the fables, true tales, and insider knowledge of these last reserves of true wildlife is his passion. Nonetheless, his job for over forty years has been working as a literary agent. In his spare time, Riva writes science fiction and African adventure books. He lives in Gila, New Mexico.